As a brand, Honda finished eighth overall and fourth among non-luxury automakers in initial quality. After surveying tens of thousands of people to compile the study, Honda vehicles were found to have only 103 problems per 100 vehicles sold, which is quite a bit below the industry average of 113 and significantly lower than the worst score in the study, which was 161. 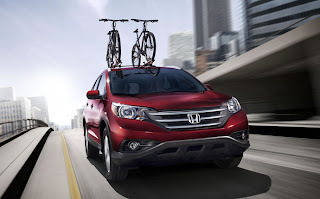 The CR-V and Civic, meanwhile, proved to offer the best initial quality in the Compact Car and Compact SUV segments, which could help explain why these are two of the best-selling models currently on Lemon Grove Honda dealers’ lots right now. Obviously, we want to make cars that are reliable for the long haul, but after 90 days a customer should feel happy and confident about their car purchase. J.D. Power’s IQS shows that our vehicles do a great job of this, and that’s obviously something we’re very proud of.